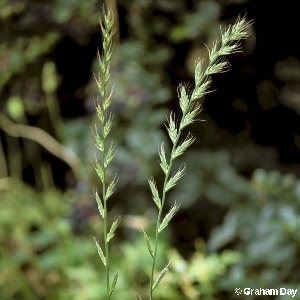 Italian rye-grass is very similar to perennial rye-grass (Lolium perenne) but the flower spikelets carry long bristles called `awns'. It is not native and is only found as a fodder crop or as a casual escape from cultivation on open or disturbed ground. 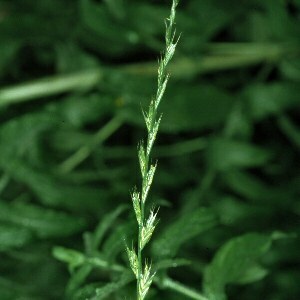 It can hybridize with meadow fescue (Festuca pratensis), but the resulting hybrid (X Festulolium braunii) has rarely been found in Northern Ireland. All names: Lolium multiflorum Lam. ; Lolium perenne ssp. multiflorum Lam.